A former Pakistan People's Party (PPP) lawmaker has said the Shia Hazara community, only wants that their demand for right to life be met and respected. "We do not want roti (food), kapra (clothing) and makaan (housing). All we want is the right to life," former PPP lawmaker Nasir Shah said. The Hazaras are currently on a hunger strike for the last three days, asking the authorities' to protect the community from "targeted killings", reports the Pakistan's Daily Times. A Pakistani political activist Jalila Haider is leading the hunger strike outside the Quetta Press Club. 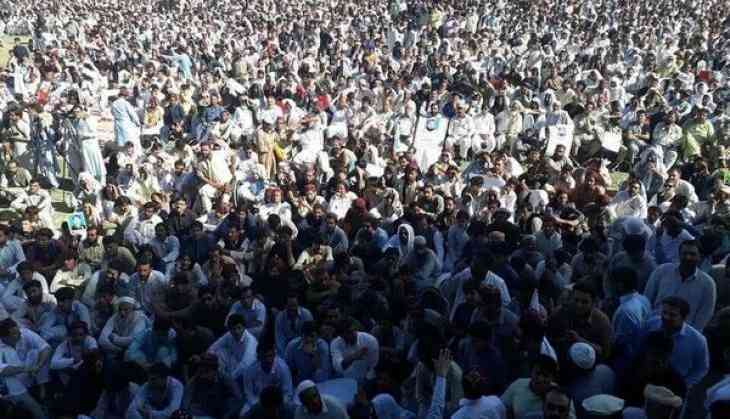 On Sunday, a protest rally was held by the Balochistan Shia Conference at Shuhada Chowk in Quetta. Members from other parties such as the Hazara Democratic Party, the Balochistan National Party, and the Jamhuri Watan Party were also present. The protesters said their protests would continue until Pakistan Army Chief General Qamar Javed Bajwa assured them about action taken against those harassing the Hazara community. The protesters claimed that over 2,000 Hazaras were killed and 3,000 others were injured in so-called "targeted attacks". Zair Agha, a speaker at the rally, said, "Our neighbourhoods have been turned into orphanages. Our blood has become cheaper than water." The recent protest began after two men from the community were shot dead by unidentified assailants at an electronics shop on Jamaluddin Afghani Road in Quetta on Saturday. On April 1, a man from the Hazara community was shot dead by unidentified miscreants in Quetta's Qandhari Bazar, while a second person suffered bullet wounds. The Hazara community has been severely affected by sectarian terrorism in Balochistan for years. Last month, a report released by the Pakistan National Commission for Human Rights showed that 509 people from the community were killed, while 627 of them were wounded in different incidents of terrorism in Quetta since 2013.